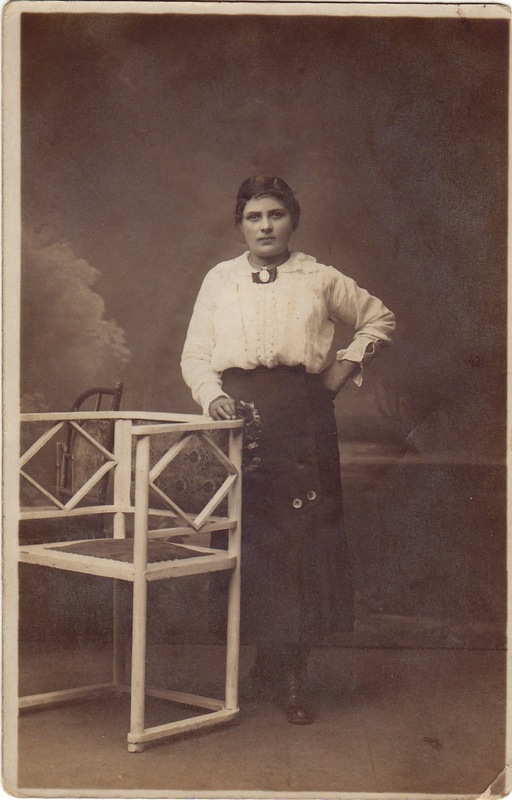 Below is a postcard sent from a woman in German-speaking Poland to her brother in New York. 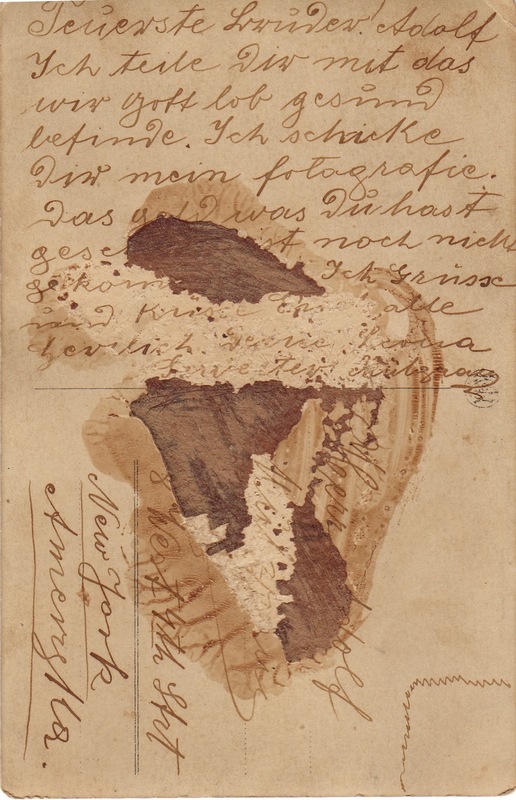 This sample is difficult to read because of glue that obscures much of the writing. Her family sought a German translator to decipher the text’s meaning. See the finished translation (at right). Would you like to view the final product of this translation to see how your translation inquiry will turn out? Ready for a free estimate for your translation job? Just send a scanned copy. Your family’s history is waiting to be uncovered.